What's smaller than competing loaders, yet still holds 260 rounds? 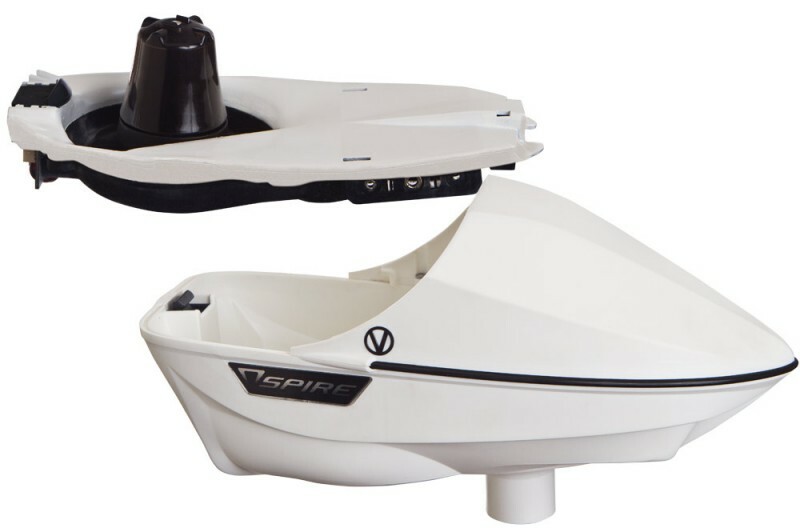 Smaller, Lighter, Holds More, Easier, and Never Jams: the Virtue Spire 260. Hold a massive 260 rounds and still play with a smaller profile thanks to the vertically stacked gearbox and the unique angular shape of the Spire. 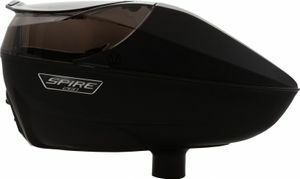 By housing the gearbox in a vertical stack inside of the Spire Drive, the Spire 260 is not only shorter than typical "hi cap" loaders, but also shorter than competing standard size loaders as well. 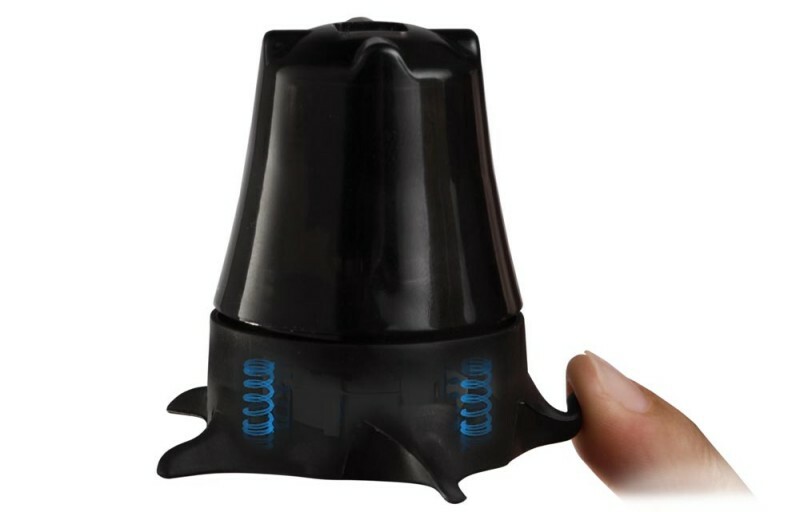 A translucent backshell allows the shooter to quickly view paint levels in a single glance, without revealing how much paint is in the loader to everyone else. Of course, with the Spire 260, you won't have to worry about running out of paint before the other guy. Reload with ease thanks to the extra large wide mouth lid. Breathe a sigh of relief with the simple on / off operation, featuring self-optimizing motor logic. This means more time playing on the field without fiddling with settings. But die-hard tweakers don't worry, as the Spire still has some adjustable settings for those who prefer to tinker. Changing batteries, cleaning the Loader, and most importantly, putting it all back together again was never so easy. The Slide Lock Quick Release allows the back shell to be removed in less time than it takes to read this sentence. From there, all of the Spire internals are mounted on an internal tray, which is quickly removed with the slide of the convenient Tray Release Tab. 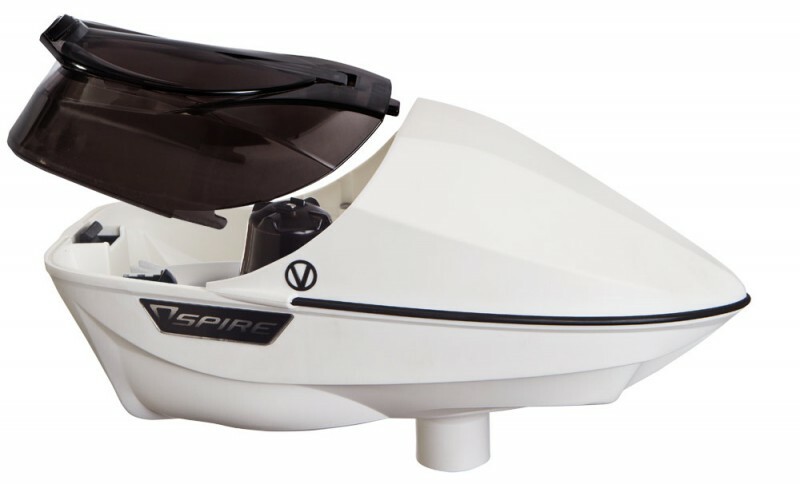 With an Intelligent Shot Activated G-Force sensor, the Spire sits at the top with the fastest feeding loaders in paintball, but speed doesn't count for much unless a Loader can also feed reliably without jams. The Spring Loaded Anti-Jam Paddle seamlessly prevents jams by sliding underneath and pushing jams out of the way before a pause in feeding occurs. If the gun can shoot it, the Spires Flex Cycle will feed it. The Flex Cycles rubber arms have a soft touch, which feeds brittle paint with ease. The Spire has been tested successfully on high end tournament paints so brittle they break when dropped from knee height!